Thanks so much for the great book Megan! I can’t wait to see more posts on this blog. That is great feedback. Thanks. See the website for the new photo gallery and I will post more material soon. This is great Megan. I’m really looking forward to getting my own copy! Thanks so much for viewing my blog. I am glad you like it. 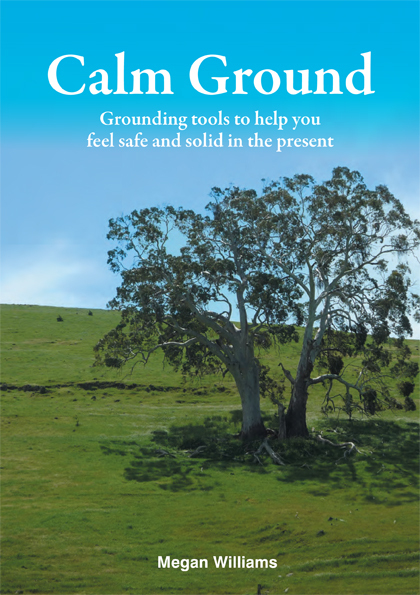 Check out the new photo gallery on the web page for more soothing images and I hope you enjoy my book when you purchase it. I loved this book. Not only could I delve into it and get lost from cover to cover, I could just as easily pick it up, flip to a page and find something useful and understandable to help me get through some hard times. A real life saver. A great resource! 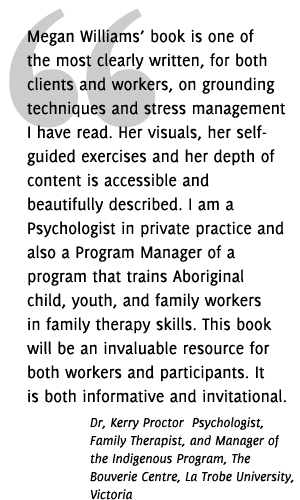 I work as a counsellor with survivors of sexual assault and would definitely recommend this book to clients. 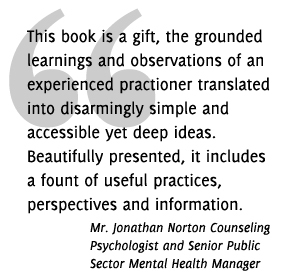 It packages a whole lot of great ideas into one easy-to-read book. 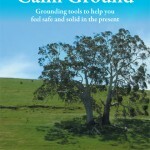 I feel this to be a very easy book to read and find the tools beneficial in stressful times. Great to finally find a book with commonsense tips and easy to find techniques! Thank you for visiting my blog and for enjoying it’s design. This blog is written by me with no designer input. I try to create an attractive and easy to read style and keep within the theme of my book which is Grounding. I also try to include a photo of nature as sight is the main sense used on web content. I hope that gives you the confidence to give it a go as I had no experience when I started but just focused on an overriding theme and kept it simple.